Laura, Lucy, Rocio,Me. Lucy is the mother in the middle, laura and rocio are sisters and we three l went to h.s together. 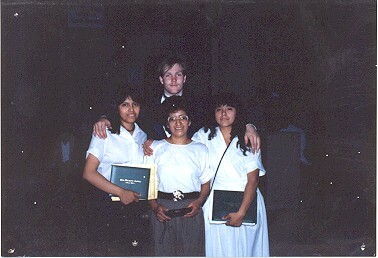 Laura graduated one year ahead of rocio and me. We were like family for many years after h.s. graduation.